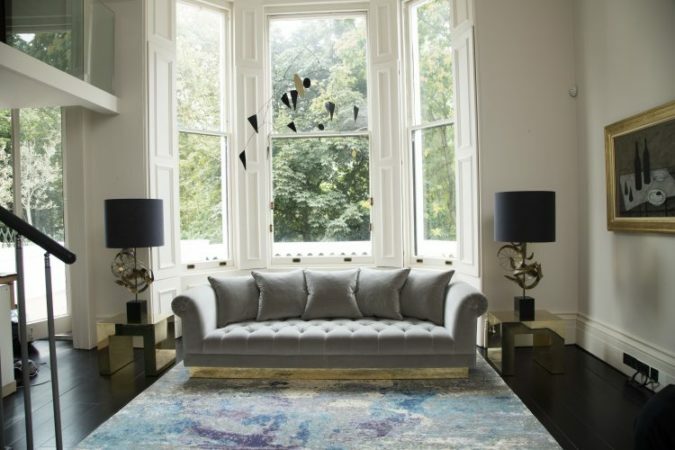 To celebrate our partnership with Chelsea furniture company Talisman, we spoke to Bespoke manager Rose Buckmaster about the Inspiration behind their new collections and the introduction of a ‘Touch of Talisman’. “One of the great aspects of working with the Talisman Bespoke range is that it evolves and continues to grow organically. 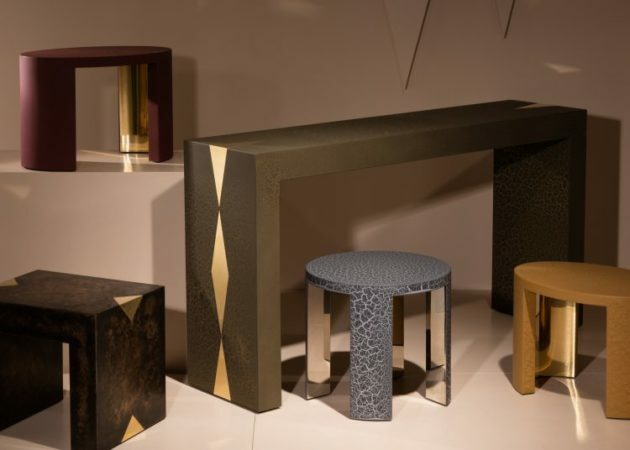 It began with twelve signature pieces in 2014 and now extends to 38 designs covering a wide selection of glamorous upholstered, lacquer and brass designs. Most recently we have launched the new CRACKLE/ BRONZE/ STOOL collections which have given rise to much excitement in the showroom! When the opportunity arose to work with John Cullen on a display we jumped at it! With the craftsmanship and design of each piece being so central to the Bespoke collection we were thrilled to have the opportunity to put them under the spotlight. Inspired by 20th century design, ‘Talisman Bespoke’ ranges from expressive Art Deco, through 1950s, to 1970s influenced pieces. Upholstered chairs and sofas in luxurious textiles, classic lacquered or brass commodes, side tables and cabinets look ravishing in both contemporary and antique settings. Everything is tailor made so the options are endless. Each customisation is a creation in its own right. For the John Cullen installation it seemed obvious to display some of our most popular swivel chairs alongside the ever edgy chaise long. Both designs are eternally popular with stylist and set designers as well as some of the top interior designers in the UK and abroad. Designed to fill a gap in the market for a neatly proportioned chair with ultimate mid-century design and practicality, the Swivel Chair has proven a very popular choice! As with most organic collections the Talisman Bespoke range is constantly growing and we are excited to launch a collection of unique designs and finishes this summer. It was during the production of a bespoke piece that our innovative and experienced workshop developed the CRACKLE effect. 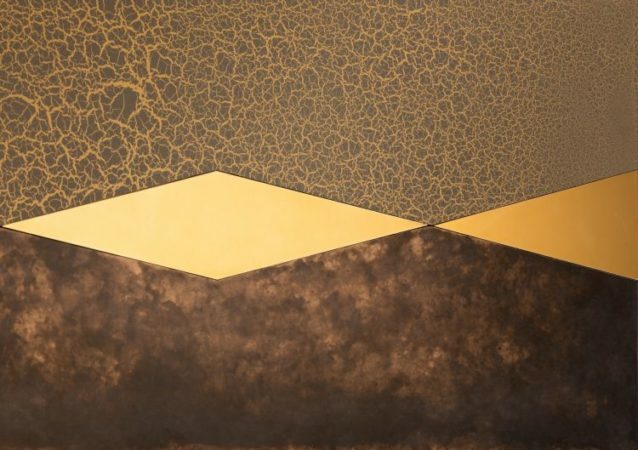 Via a process of layering paint and varnish, a superb textured surface is created. This animalistic finish interprets in paint the craftsmanship of the highly-prized Japanese ceramic surface of Raku. Strong brass and polished steel detailing lift each piece. The new look of the CRACKLE and BRONZE pieces naturally compliment the glamorous aesthetic of the classic Talisman brand and previous bespoke designs leaving an opportunity to open up the brand in a fun and youthful manner – introducing The STOOL Collection! 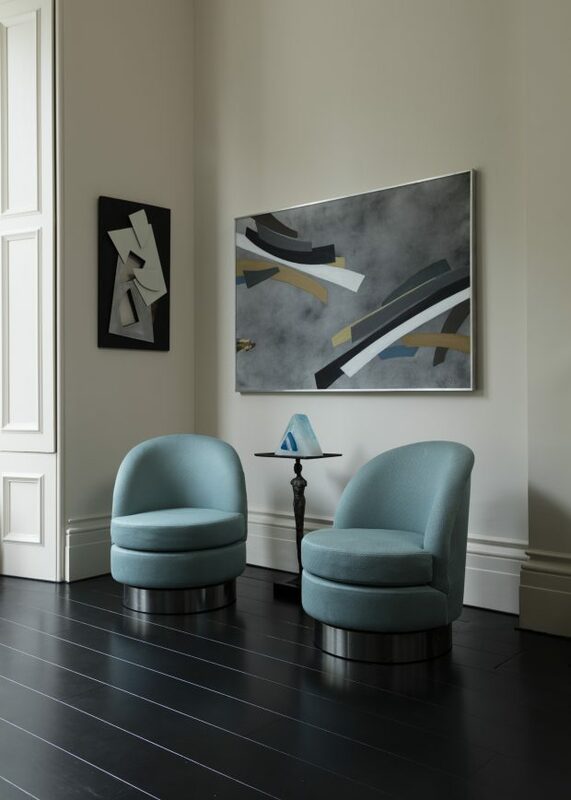 The Talisman Swivel Chairs and Chaise Long can currently be found glowing in the reception of the John Cullen showroom on the Kings Road, while the new collections are on display for the next month at Talisman.